Experts are eager to start restoration work in the ancient city of Palmyra, which has just been liberated from Islamic State militants, Syria’s antiquities chief told RT. He will lead a team to evaluate the damage in the coming days. Syria’s Directorate-General for Antiquities and Museums (DGAM), Maamun Abdelkarim, told RT that on Monday or Tuesday a group of experts will start evaluating the damage in order to report on how to “rebuild” the monuments at the renowned UNESCO World Heritage Site. He added that this information will be shared with UNESCO. “The landscape in Palmyra is good, it’s not destroyed. There is [much] hope in our hearts,” he said. The iconic Arch of Triumph is among the many historical and cultural monuments that will be possible to reconstruct, according to the Syrian official. He said that the restoration of the Arch of Triumph will not be a difficult task because images from the site show that it has remained in a rather good condition. 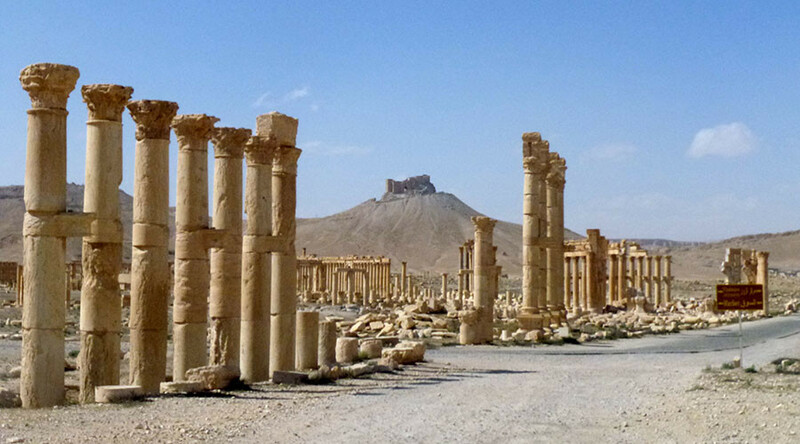 “Palmyra is not just [a heritage of] the Syrian people, its [a heritage of] humanity,” he added. “Now, it’s the end of this tragedy…after 10 months of nightmare in this city,” he said, praising the Syrian army’s liberation of the city on Sunday. He called on the international community to unite to decide on how to preserve cultural heritage not only in Syria, but also in Iraq, Afghanistan, and Yemen. Specialists from Russia’s esteemed State Hermitage Museum in St. Petersburg are ready to take active part in the restoration of Palmyra’s monuments, Mikhail Piotrovsky, the museum’s director, said on Sunday. “Naturally, we will take an active part. We will share our experience, the experience of restoration of Leningrad, St Petersburg, our monuments and the city’s environs,” he said in an interview with Rossiya-24 TV channel. 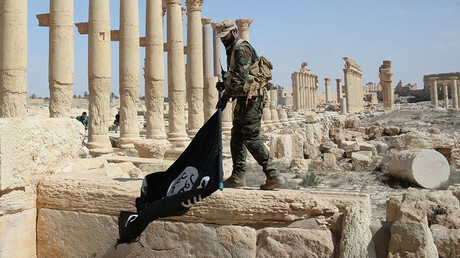 Piotrovsky said that the restoration of Palmyra can be accomplished, but warned against taking hasty steps. “It is quite accomplishable, but we should not seek to restore what has never been there. It is necessary to examine everything that used to be standing there, but is now in ruins. And it is possible to gradually restore it,” he said. UNESCO Director General Irina Bokova said earlier on Sunday that she hopes for close cooperation with Russia’s State Hermitage. Russian President Vladimir Putin had a phone call with Bokova on Sunday, according to Kremlin spokesman Dmitry Peskov. He said that Putin told Bokova that “representatives of the Russian contingent will participate in the demining of the ancient city.” Putin and Bokova agreed that UNESCO, Russia, and Syria will take the steps necessary to evaluate the damage to the historic site. Putin also had a phone conversation with Syrian President Bashar Assad, who expressed hope that the international community will help with the restoration of the world heritage site, according to Kremlin’s press service.